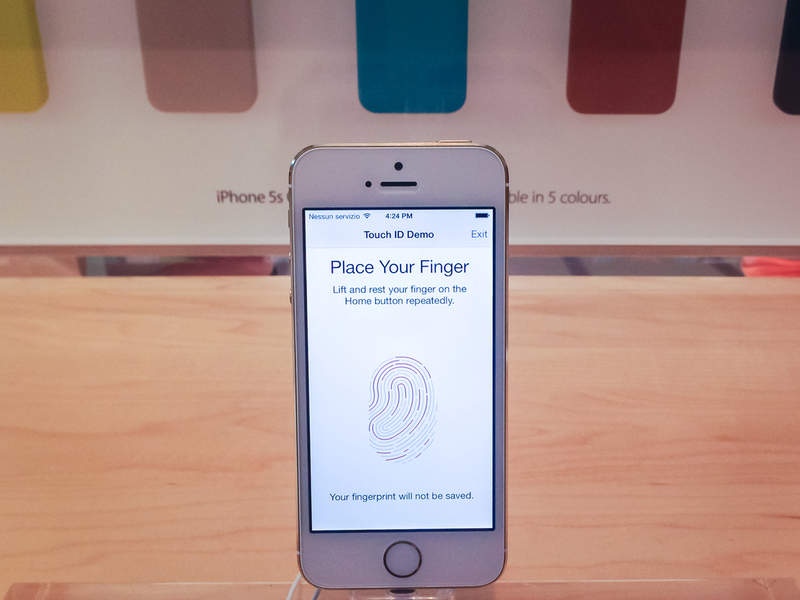 If you’re on the prowl for an iPhone 5s this Black Friday ─ you’re in luck. Many major retailers are bringing their best deals to the table this year, helping you get the latest iPhone model at a deep discount. One thing to keep in mind if you’re not an Apple enthusiast, but you’re considering purchasing the iPhone as a gift: the company actually released two versions of the phone this fall. The other very different model, the 5c, will also be making a big appearance in Black Friday sales, and it’s much cheaper, so make sure to check out the best Black Friday deals for those models before getting in line. Get a great deal on the iPhone 5s 16GB at H.H. Gregg for just $189.99. This includes all three colors and a two-year Verizon contract. That’s not all ─ you’ll also receive a $100 gift card with the purchase of any 4G LTE Smartphone, which is a pretty amazing deal. Total price including gift card bonus ─ $89.99. Walmart is offering an iPhone 5s 16GB deal that’s pretty hard to beat. For just $189.99 you can get the gold, silver, or gray model, with a two-year Verizon or AT&T contract. If you thought that was good, there’s more ─ you’ll also receive a $75 Wal-Mart gift card. Head to Target to get the iPhone 5s 16GB for just $179.99 and a $30 Target gift card. This includes the gold, silver, and gray models and is valid for a two-year Verizon or AT&T activation plan and data. If you have Sprint, you’ll have to pay a little bit more at $198, but that’s still a steal considering the phone is $699.99 without activation! RadioShack is another great place to find a hot Black Friday deal on the iPhone 5s. The retailer is offering it for $199.99, plus a $50 online Visa gift card with any qualifying two-year plan. You can get the phone in gold, silver, or gray and choose Verizon, AT&T, or Sprint as your provider. Total price including gift card bonus ─ $149.99. If you simply cannot wait until Black Friday, head to Best Buy where you can still get a great deal on the iPhone 5s. You can get the iPhone 5s 16GB for $199.99, the 32GB for $299.99, or the 64GB for $399.99, along with a two-year contract with Verizon, AT&T, or Sprint. But wait, there’s more! As part of its early Black Friday sales, Best Buy is offering a holiday trade-in promotion, where you’ll receive a Best Buy gift card for trading in an iPad, Xbox 360, Sony PS4, iPhone 5, iPhone 4S or iPhone 4 to purchase an iPhone 5s or an iPhone 5c. AT&T has joined in on the early Black Friday madness this year. For the next two days shoppers can receive a $50 Restaurant.com gift certificate with the purchase of a phone. It remains unknown if other deals will follow. The iPhone 5s 16GB is available for $199.99, the 32GB for $299.99, or the 64GB for $399.99, along with a two-year contract with AT&T. If you’ve been waiting patiently for an iPhone 5s since the phone hit the market a few years back, your time has finally arrived! This Black Friday offers pretty incredible deals on the phone, so if it’s on your holiday wish list ─ or that of a loved one ─ there’s never been a better reason to brave the Black Friday crowds to take advantage of these hot deals. iPhone 5s image courtesy of Shutterstock.